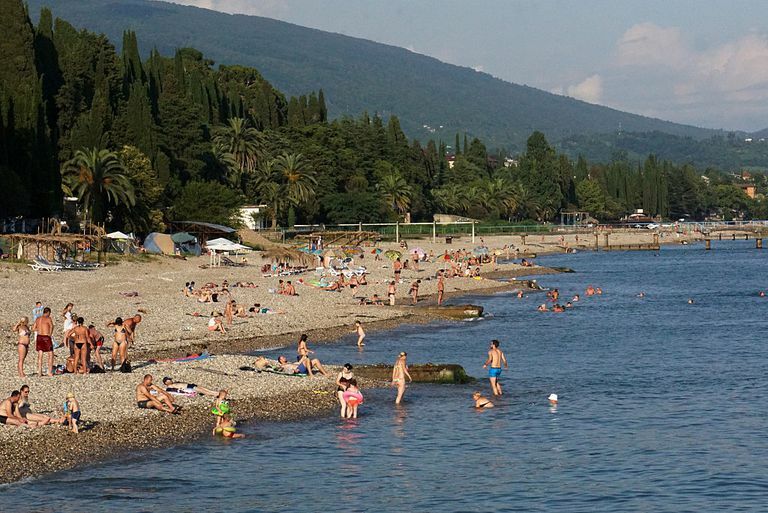 On the eastern coast of the Black Sea and the southwestern section of the Caucasus region is a partially recognized state known as Abkhazia (or the Autonomous Republic of Abkhazia). Living in the Caucasus mountains in southern Russia are the Abkhasia, a society of people known for their incredible longevity and lifespans. This relatively small group of people have long had a reputation for extremely long and healthy lives. In fact, in the 1960s and 1970s, claims were made for lifespans of 150 years, marriages at age 110, and even stories of men fathering children at age 136! The greatest claim, made by the propaganda-obsessed Soviet Union, was that one Abkhasian man named Shirali Muslimov reached a remarkable 168 years old. The Soviets honored him and his longevity with a postage stamp, leaving some to ask, are the stories true? How Old Are the Abkhasia? Simply put, the miraculous stories of centenarians and supercentenarians were not entirely true. As to be expected, quite a lot of hype was built around the longevity legends of the Abkhasia. The Abkhasian culture greatly rewarded age, so many people exaggerated. Furthermore, like many unbelievable stories, the truth was likely only embellished further with each telling of the modern legend. Despite the exaggerated stories, the Abkhasian people were still among the longest living societies in modern history with more centenarians than most countries in the world — and still are. Beyond that distinction, the Abkhasians also among the healthiest aging population — both mentally and physically. Elders have been known to run up and down the mountains, laughing and dancing. Regardless of how long Abkhasian people typically live, it is evident that they suffer almost none of the chronic illness that we have today, which is likely due in large part to their culture, community, and lifestyles. The Abkhasia live in the mountains and spend nearly every day going up and down, and up and down in the thin mountain air. This constant activity is said to have kept the older members of the Abkhasia fit without resorting to fitness programs or formal exercising. In addition to uniquely active lifestyles, the Abkhasia are also known to follow a mostly plant-based diet, emphasizing fresh (as in "picked-it-this-morning" fresh) foods, whole grains, and nuts. The day typically starts with a fresh salad of raw greens harvested from the garden. Nuts are served at nearly every meal, bringing in antioxidant value, and they are known for their matzoni, a cultured milk drink. But perhaps just as important as what the Abkhasian people eat is what they do not eat. They are a community that doesn't consume refined flour, oils, or sugars. Not only are the Abkhasia known for the fresh foods they consume, but also their overall caloric intake. The average Abkhasian diet contains well below the prescribed 2000 calories per day. The Abkhasia not only eat wholesome foods but comparatively do not eat very much of them, which is not much of a surprise for many longevity researchers as limiting caloric intake has been shown to increase life expectancy in laboratory situations. Most experts would agree that there is not just one secret to the Abkhasian people's tremendous longevity. In addition to an active lifestyle and limited, but healthy diet, the Abkhasia also have had strong cultural influences that likely only contributed to the number of community members who have lived well into their nineties and even into the hundreds. If you take one lesson from the Abkhasia, let it be this: they truly enjoy growing old. As a group, unlike much of the rest of the world, they look forward to aging. Age lends them status in their community, extreme respect, and a sense of place. Even in their old age, Abkhasians never appear to "retire" in the Western sense of the word and remain active participants in their community until the end of their lives. Benet, Sula. Abkhasians: The Long-living People of the Caucasus. New York: Holt, Rinehart, and Winston. Robbins, John. Healthy at 100: The Scientifically Proven Secrets of the World's Healthiest and Longest-lived Peoples. New York: Random House, 2006.